Committed to providing you with quality products and superior customer service. Does your existing residence need a makeover? Are you looking for a remodeling contractor you can trust? Choosing the right company for your home remodeling project starts with a visit to Zehnbauer’s Kitchen, Bath & More’s showroom. We are a one stop shop. We provide everything for your kitchen, bathroom, closets, including accessories and more. Zehnbauer’s Kitchen, Bath & More has been a family owned business for over 16 years and has built a name as one of the most trusted remodeling companies in Morris County. We have carefully assembled a team of experienced professional contractors who are detail oriented, trustworthy and customer focused. We are a member of the Sen Design Group of National Kitchen and Bath Association and have an A+ rating with the Better Business Bureau. . Whether your project vision is simple or a complete remodel, our experts will help you design the perfect project within your budget and to fulfill your vision. We make the process easy with a detailed plan, effective communication and quality execution. Put your mind at ease. 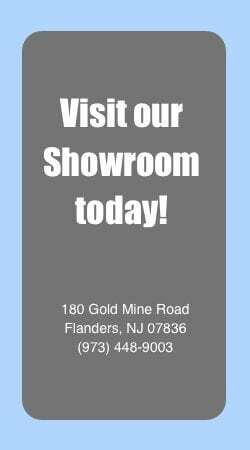 Visit our showroom and start your project with us today. Your satisfaction is not only our top priority, it’s guaranteed as well.